In the early 17th century, England's relative naval power deteriorated. The Admiralty and Marine Affairs Office steered the Navy's transition from a semi-amateur Navy Royal fighting in conjunction with private vessels into a fully professional institution, a Royal Navy. Its financial provisions were gradually regularised, it came to rely on dedicated warships only, and it developed a professional officer corps with a defined career structure, superseding an earlier mix of sailors and socially prominent former soldiers. After 1603 the English and Scottish fleets were organized together under James I but the efficiency of the Navy declined gradually, while corruption grew until brought under control in an inquiry of 1618. James concluded a peace with Spain and privateering was outlawed. Between 1618 and 1628, a Navy Commission temporarily replaced the Navy Board, due to misappropriation of public funds by board commissioners. After the inquiry was over the office of the Lord High Admiral (held by the Duke of Buckingham) was restored. However, he was murdered and King Charles I put the office into commission. This led to the creation of a new Board of Admiralty which in its early formation was just the Privy Council in another reincarnation. This in turn also led to the removal of the Admiralty Court from direct control of the Lord High Admiral's. His office was temporarily restored again in 1638, but then put in commission once more. Leading up to and during the English Civil War a period from 1643 until 1649 and again from 1653 until 1660 the Admiralty Office was placed under the control of an Admiralty Commission which replaced the Board of Admiralty, the commission itself replaced when control of naval affairs passed to the English Council of State until 1653 when the commission was re-instated until 1660. The admiralty commissioners were appointed by the parliament and consisted initially of members from both the House of Commons and House of Lords. The Board of Admiralty was re-established until 1684 when the Monarch of England assumed direct control of the Admiralty Office until 1689. From 1690 Board of Admiralty and its Lords Commissioners became the permanent officers responsible for direction, control and policy making decisions of the Navy. Note: Due the continued state of war during this period the Secretary of State of England was responsible for all policy decisions in regards to HM Naval Service from from 1628 to 1679 on behalf of the government on which the Lord Admiral, Board of Admiralty led by the First Lord would act. The development of the English Navy really took off under the leadership of Oliver Cromwell, known as the Lord Protector of the English throne after the end of the civil wars in 1649. At this time the now Protestant island nation began to rely on its navy as the source of their wealth and defence. Between 1646 and 1659 the navy grew by an outstanding 217 ships: 111 captured and 106 were built. After Cromwell’s death and the restoration of the Stuart Dynasty in 1660, the navy built another 25 battleships of the first, second and third classes. But the development of the navy did not guarantee immediate success, especially considering that the Dutch remained the foremost navy power in the Atlantic. ] After 1649, England fought three wars with the foremost naval power in Europe at the time, the United Provinces (The Netherlands). England’s main objective was to destroy Dutch trade and shipping and replace the Dutch as the leading maritime trading power. The first two wars, which lasted between 1652-4 and 1665-7, produced relatively little progress on the trading front. Ad the last war in 1672-4 was hardly decisive and ended with only modest gain for the English. Therefore, the first half century of the “blue water” policy was relatively unproductive. Under Charles II, who was instated as king in 1660, the “blue water” policy, as it is known was officially made policy. Under this policy, commercial wealth and naval power became seen as “mutually sustaining”. ] Flourishing trading that was fuelled by the English navy would provide funds in the form of customs revenue, as well as manpower would guard existing overseas markets , as well as under the expectation that this would lead to new markets. This policy made much sense, since Great Britain was an island; a strong navy would almost surely secure them from attack by a continental power. However, this policy did have its limitations. When England found its self isolated, foreign invasion became a possibility, such as with Napoleon in the early nineteenth century. A large navy would usually mean a smaller army because of resource constraints; as a result Britain would need to rely on an allied power to fight on land. The development of the English and later British fleet between 1688-1714 was relatively considerable as Britain became more and more concerned with the political climate in Europe in this period. Beginning in 1689, Britain launched an expansion of their fleet which increased the number of (First to Fourth Rate) ships from 100 to 131 in 1714 after the war with France. The number of cruisers increased from only eight in 1689 to sixty-six in 1714. The total increase in ships required the building of 159 new ships of the line and 113 new cruisers between 1691 and 1715, taking into account the casualties at war. All of this was done despite the navies continual financial problems where they rarely received sufficient amounts to maintain their fleet from Parliament. But this major expansion came at a large cost, after the 1688 Glorious Revolution, the tax burden in England more then doubled, with the bulk being generated in the land tax. Senior Leadership during this period included a single naval lord of England the Lord Admiral he was responsible for formulating naval policy, directing the navy and operations. Below him were his two deputy's the Vice-Admiral of England responsible for naval operations and judicial administration together with the Lieutenant of the Admiralty in charge of civil administration of the navy. Below them sat the various operational commanders, the shore based commanders, the offices of the clerks of the kings marine, then later the council of the marine, the high court of the admiralty, the vice-admiralty courts and admiralty law system. In 1628 the office of the Lord Admiral was placed in commission under the board of admiralty, he resumed operational control of the navy from 1638 until 1639.when it was in commission again. In 1661 he resumed operational control again until 1673. However policy formulation and decisions in regards to the Admiralty Office was directed by the Secretary of State of England on behalf of the Government from 1628 to 1679 on which the Board of Admiralty led by the First Lord would act. Immediately below the Lord Admiral of England initially were the four admirals commanding regional admiralties until their offices were unified with his office to create a single centralized command in 1414, In 1410 preempting the abolition of the regional admirals a deputy commander-in-chief was created the Vice-Admiral of England. The monarch of England assumed direct control HM Naval Service and subsequently this office from 1684 to 1689 before the Board of Admiralty resumed control. In former days, the Vice-Admiral of England (or Vice-Admiral of Great Britain following the 1707 union with Scotland) was the second most powerful position in the Royal Navy, and until 1801 was officially called the Lieutenant of the Admiralty. The office of Rear-Admiral of England was established in 1683 and despite of the title, the Rear-Admiral of England was usually a full admiral. He is the deputy to the Vice-Admiral of England, who is in turn deputy to the Lord High Admiral of England. The Secretary of State of England for the period 1628 to 1679 was responsible for all policy decisions and direction of the navy on behalf of the government due to a continued state of war. The Board of Admiralty was established in 1628 when Charles I I put the office of Lord High Admiral into commission as that position was not always occupied. The purpose was to enable management of the day-to-day operational requirements of the Royal Navy; at this point administrative control of the navy was still the responsibility of the Navy office established earlier in 1546. This dual system remained in place until 1832, when the Board of Admiralty became the sole authority charged with both administrative and operational control of the navy when the Navy Office was abolished. The head of the board was an official known as the First Lord of the Admiralty he became a minister of state and member of the cabinet when the Admiralty and Marine Affairs Office was renamed as the Department of Admiralty in 1707. The Admiralty Commission was the organisation charged with the control and direction of the Admiralty and Marine Affairs Office, and HM Naval Service during the English Civil War. It replaced the Board of Admiralty from 1643 to 1649 when control of naval affairs then passed to the English Council of State until 1653 when the commission was re-instated until 1660 when the Board of Admiralty was re-established. The admiralty commissioners were appointed by the parliament and consisted initially of members from both the House of Commons and House of Lords. The Lord High Admirals Council was a series of councils appointed to advise and assist the Lord High Admiral of England and then later of the United Kingdom of Great Britain and Ireland in the direction of Naval Affairs also known as Council of the Lord High Admiral when the Board of Admiralty was not in commission the first series of councils took place between 1702-1708 and second and final series of councils took place from 1827-1828. It was during this century that navy began to establish commands and bases abroad. The Vice-Admiralties of the Coast were official posts established in maritime counties of England, Scotland, Ireland and Wales . The officer holders, designated as "Vice-Admirals", were chiefly responsible for naval and judicial administration for their county and including defence of their county, they were deputy shore commanders of the Lord High Admiral . There were twenty six Vice-Admiralties responsible for England , five Vice-Admiralties responsible for Ireland, three Vice-Admiralties responsible for Scotland and six Vice-Admiralties responsible for Wales. Civil administration, finance and logistical support of the English Navy lay with the Navy Office. A separate Navy Pay Office was also established that was semi-autonomous of the Navy Office. The Navy Office and previously known as the Council of the Marine or Council of the Marine Causes was the government office charged with responsibility for day-to-day civil administration of the Navy Royal, (1578-1707) and then Royal Navy, (1707-1832). It was administered by the Navy Board. The main naval dockyards constructed during the period the admiralty office was in operation included. Management of the various yards was the responsibility of the various Master-Shipwrights until the introduction of resident Commissioners of the Navy in the early seventeenth century, the Master Shipwright then became their deputy. During this century two more dockyards were established in England and the first one overseas in the Caribbean. Plymouth Dockyard (1690 – current) later renamed Devonport. The Navy Pay Office was established in 1545 it was administered by the Treasurer of Marine Causes later known as the Treasurer of the Navy the pay office was autonomous of the council of the marine and later Navy Office it existed until 1832 when along with the Navy Office it was abolished its functions were absorbed into the Department of the Accountant-General of the Navy. The Armoury Office was established in 1423 it was part of the supply chain of armour and edged weapons to the armed forces but was autonomous from the Office of Ordnance. In 1671 the Armoury Office was abolished and its duties transferred to the Board of Ordnance. At first there were three separate Admiralty courts (each with a presiding admiral) for three different sections of the country each responsible for judicial administration of the navy, but these were merged into one high Admiralty court in 1483 the court was initially administered by the High Admiral of England until the creation of the office of the Vice-Admiral of England in 1410 who became the High Admiral's deputy he then presided over the court system directly until 1483 when a Chief Judge of the high court was appointed responsible for the day-today proceedings of the court. The Vice-Admiral of England remained responsible for the direction of the high court and the chief judge and for all future appointments of the judge. The High Court of the Admiralty consisted of the office of the Chief Judge who was supported by various officials known as officers of the High Court of the Admiralty they included the Admiralty Advocate, the Marshall, the Notary Public, the Proctor, the Receiver of Droits and the Registrar. 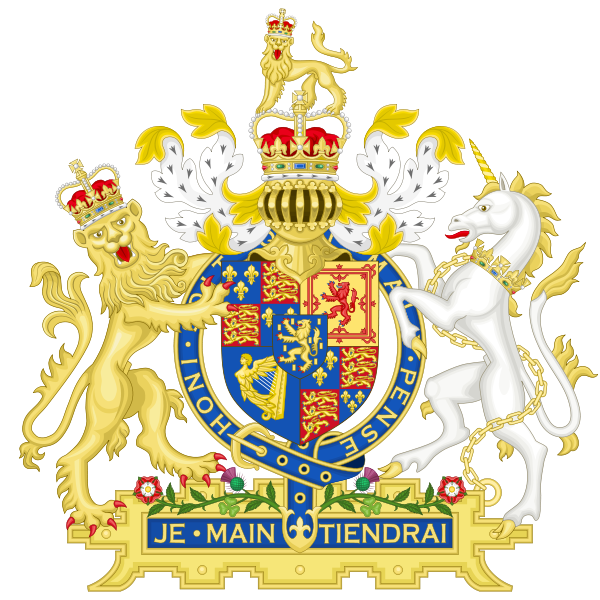 Beginning in 1536 until 1835 there were 39 local courts of the admiralty administered by a Vice-Admiral in the maritime counties of England, Ireland, Scotland and Wales. In addition there were also Vice-Admiralty Courts established in colonial possessions abroad these Vice Admiralty Courts were juryless courts located in British colonies that were granted jurisdiction over local legal matters related to maritime activities, such as disputes between merchants and seamen. Pennsylvania, including Delaware and Virginia. In the West Indies in Barbados and Jamaica. Office-Holders in Modern Britain: Volume 4, Admiralty Officials 1660-1870, ed. J C Sainty (London, 1975), British History Online http://www.british-history.ac.uk/office-holders/vol4 [accessed 7 November 2018].